Professor Heather C. Allen was born in 1960, the youngest of 5 children. After 10 years in the workforce and with life experience in an array of jobs, she began her pursuit of a formal college education. She attended Saddleback College beginning at age 28 from 1989-1992, completing much of her undergraduate science and general education coursework before transferring to the University of California, Irvine in 1992. After her second year at Saddleback, she focused on the sciences, targeting chemistry as her major, winning a Saddleback College Science Scholarship Award to continue advancement toward her chemistry degree. This was a pivotal step. She then received her B.S. degree in Chemistry in 1993, and PhD in Physical Chemistry in 1997 at the University of California Irvine working with Nobel Laureate F. S. Rowland, and Professors D. Blake, J. Hemminger, and B. Finlayson-Pitts. She continued her postdoctoral studies in 1997 at the University of Oregon advised by Professor G. L. Richmond. Following the Saddleback Science Scholarship, as a student and postdoctoral researcher, she was also recognized with other scholarships and fellowships: Fannie and John Hertz Fellowship, EPA, NSF Traineeship, and a NOAA Post-Doctoral Fellowship in Climate and Global Change. She began her Professorial career at Ohio State in 2000 at age 39, and has since been recognized for many research accomplishments: Research Innovation Award from Research Corp., NSF CAREER Award, Beckman Young Investigator Award, Alfred P. Sloan Research Fellow Award, Camille Dreyfus Teacher-Scholar Award, Fellow of the American Association for the Advancement of Science (AAAS), Ohio State Distinguished Scholar Award, the Alexander von Humboldt Research Award from Germany, and most recently the Tohoku Forum for Creativity awarded in Japan. In addition, Dr. Allen has been recognized for several mentoring awards over the years including the Ohio State Office of Minority Affairs Mentor Award, an Empowered Woman Award from the City of Columbus, and the American Chemical Society National Award for Encouraging Women into Careers in the Chemical Sciences. She is a Full Professor in the Department of Chemistry and Biochemistry, and in the Department of Pathology. Her research specialization is in molecular organization, ion pairing, and hydration at aqueous interfaces. 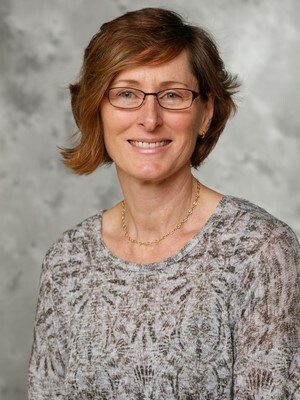 As Deputy for Science and Technology, Dr. Buchanan oversees one of the nation’s most extensive portfolios of research and development, spanning physical and materials sciences, energy and engineering sciences, computing and computational sciences, biological and environmental sciences, neutron sciences, and global security, for the U.S. Department of Energy and other sponsors. Before assuming her current position in October 2017, Dr. Buchanan was the Associate Laboratory Director for Physical Sciences for more than a decade. 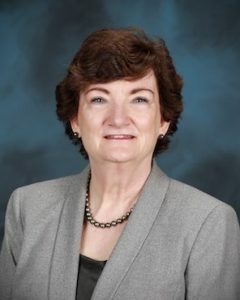 She served as director of the ORNL Chemical Sciences Division from October 2000 to November 2004 and as associate director of the ORNL Life Sciences Division from January 1999 to September 2000. She initiated the Center for Structural Molecular Biology at ORNL, serving as its director from 1999 to 2003, and led the Organic and Biological Mass Spectrometry Group in the Chemical and Analytical Sciences Division (now the Chemical Sciences Division) from 1986 to 1999. She joined ORNL in 1978 after earning a B.S. in chemistry from the University of Kansas in Lawrence, Kansas, and a Ph.D. in analytical chemistry from the University of Wisconsin in Madison, Wisconsin. Dr. Buchanan is the author or co-author of more than 150 scientific publications and reports, holds two patents, and was editor of a book on Fourier transform mass spectrometry. She was North American editor of Biological Mass Spectrometry and has served on the editorial boards of Analytical Chemistry, Organic Mass Spectrometry, Journal of Mass Spectrometry, Biological and Environmental Mass Spectrometry, and Fresenius’ Journal of Analytical Chemistry. She received an R&D 100 Award in 1986; ORNL Technical Achievement Awards in 1985, 1989, and 1993; UT-Battelle awards for R&D Leadership in 2000 and 2002; and the Knoxville YWCA Tribute to Women award in science and technology in 2003. Polly holds the Crum Brown Chair of Chemistry at the University of Edinburgh. She obtained degrees from Oxford and Sussex and was a Fulbright postdoctoral fellow at MIT before returning to the UK to a lectureship in 1999. 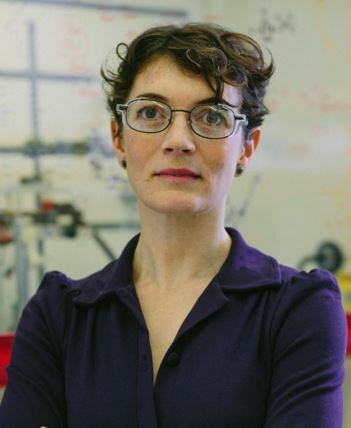 Her research is focused on the design and synthesis of highly reactive f-block complexes that can activate inert small molecules such as carbon oxides, dinitrogen, and hydrocarbons, and that can provide fundamental information on structure and bonding at the bottom of the periodic table. www.homepages.ed.ac.uk/parnold. 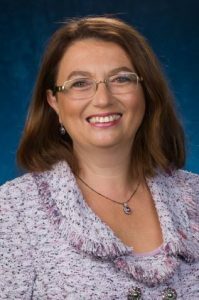 Dr. Rina K Dukor, co-founder and President of BioTools, Inc.
Born and raised in the Soviet Union, Rina Dukor arrived in the USA at the age of 15. Graduating from high school in a year-and-a-half, on a mission to find a great affordable education, she visited University of Illinois (UIC) where she attended a chemistry lecture given by Dr. Eric Gislason, then UIC Professor and Vice Chancellor of Research. Captivated by his lecture Rina enrolled at UIC where she became immersed in the groundbreaking research on protein structure under the guidance of Professor Timothy Keiderling. She went on to receive her Ph.D. degree at UIC with his supervision and completed post-doctoral research position in the Biotechnology Division of Amoco in Chicago area. In 2000, Rina left Amoco (Vysis/ Abbott) to launch BioTools with Distinguished Professor Laurence A. Nafie of Syracuse University (now Emeritus). The company, now based in Florida, introduced the first commercial dedicated vibrational circular dichroism (VCD) spectrometer, and soon became a world leader in developing biopharmaceutical research instrumentation for drug companies, regulatory agencies, and universities. Two of the company’s products have received recognition from the annual R&D 100 Awards, widely regarded as the Academy Awards of scientific research and development. Today, as co-founder and President of BioTools, Dr. Rina Dukor provides sophisticated, award-winning research instrumentation and lab services to the world’s largest pharmaceutical companies and top academic institutions.